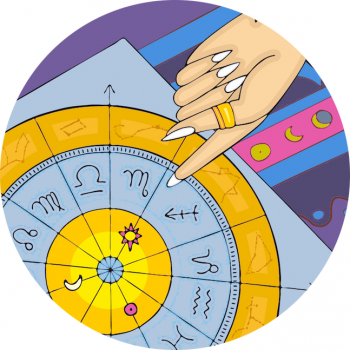 Born with Capricorn rising and you’ll be ambitious, success orientated and practical. These people have a down-to-earth determination; never satisfied with their social standing, business or career achievements they want to exceed and excel to the next level, and they’re willing to work long and hard to get there. The way of approach can be matter of fact, they’re realistic and a little dry. Their chart ruler will be the planet Saturn, and although they might appear cold or stoic they have a great and remarkable wit! They also have feelings of great admiration and respect for those they love, rather than overly-romantic or sentimental tendencies. They’re realistic, studious and serious, Capricorn rising can also be cautious. Capricorn rising people have neat, tidy appearances and seem well put together. They could have fine hair and skin, sometimes with freckles, and usually have defined cheekbones. People born when the constellation Capricorn was rising could well seem goat-like in their appearance! They can have thick, well shaped brows and noticeable teeth, as Capricorn rules the skeletal structure. As far as fashion’s concerned, Cappy rising values quality rather than passing fads, and may appear a little more reserved than their Sun, Venus or Moon sign would indicate. This might result in a somewhat conservative touch on their fashion choices, if not an all-out business-like demeanour.